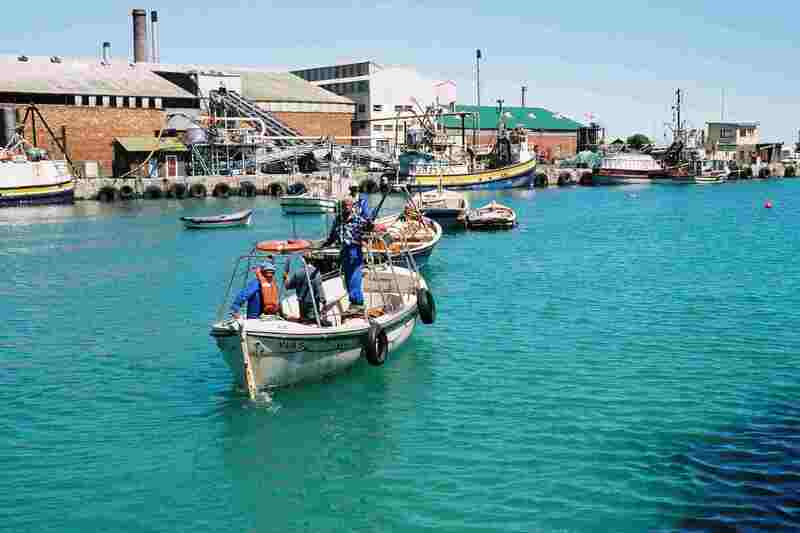 Elands Bay (known to locals as Elandsbaai) is a coastal fishing town on South Africa’s West Coast. Just over 200km from Cape Town, it’s one of the most prized surf spots between Cape Town and Namibia. 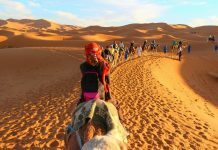 The area is home to some of Southern Africa’s oldest indigenous people, with a rich history of cave paintings and wildlife dating back millennia. Are you looking for a quiet surf retreat, somewhere to camp and hike or a sample of some of the freshest seafood in the country? Then look no further than Elands Bay. Situated in the quaint town center, adjacent to a lone petrol pump, the hotel is the place to stay. With stellar views of the beach and mountainside, this is an ideal spot to enjoy a beer, game of rugby, or some freshly caught seafood. 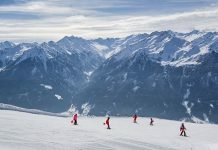 The hotel has a number of different lodging options, from presidential and family suites, all the way down to a seaside backpacker’s lodge and a small camping site. No matter how large or small your group is, or even if you’re rolling solo, a bed with your name on it awaits. You’re bound to run into some interesting people, and challenging situations while roughing it – “Who forgot to pack the tent pegs?”. 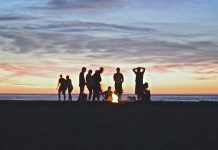 While that’s all part of the fun, there are a number of things to consider when camping in Elands Bay to make your stay as enjoyable as possible. Camping in a tent is the go-to for most, but caravans can add comfort to your stay. The wind in the Bay can pick up as the seasons shift. Make sure you’re appropriately equipped to deal with it. In summer it gets very hot, in winter it gets very rainy. Keep your sun umbrellas and raincoats handy depending on when you’re visiting. Consider treating yourself to some indoor accommodation for the last night or two of your stay – a comfortable seaside bed might be just what you need before the drive home. Keep access to electrical outlets in mind when choosing a spot, and make sure you bring a water-safe extension cord to avoid any distance issues. 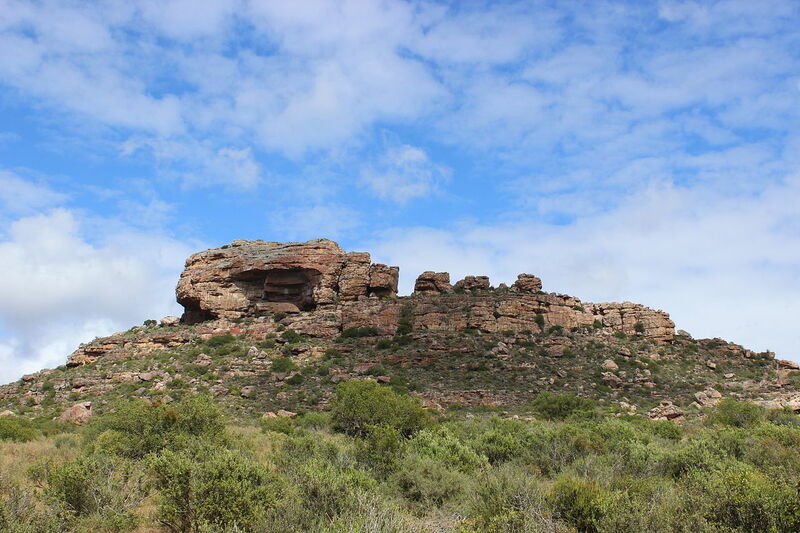 The Cederberg Municipality maintains a large, 40+ spot caravan park with ablution facilities and electricity, at a very reasonable price point. 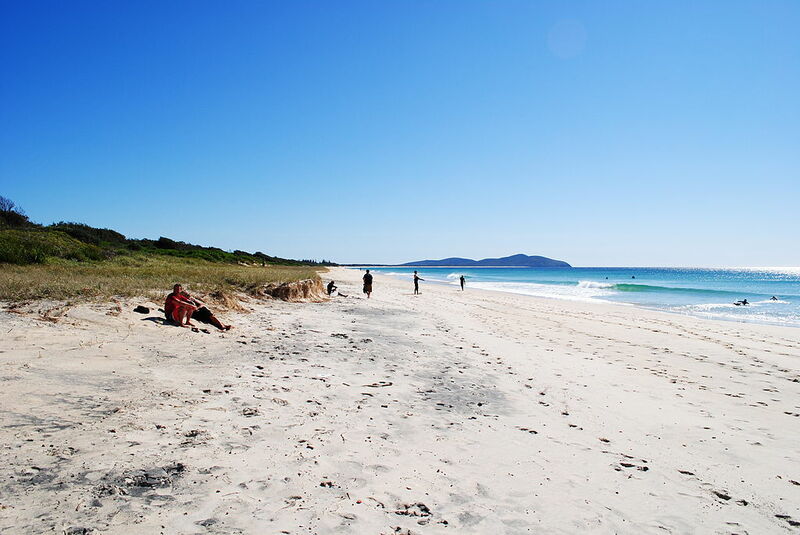 Literally meters from the beach, this spot is perfect for the travelling surfer or fisherman. If you’re looking for a simple spot with no frills, somewhere to eat, shower and sleep, look no further. Do keep in mind that being a municipal campsite, parties and evening shindigs can be commonplace. This site is one of the few that allow loud music, which is too rare an opportunity to pass up on. If sharing some drinks and a dance with your neighbours and their loudspeaker isn’t your thing, you might consider Vensterklip as your next best option. Situated on the Verlorenvlei, just five minutes out of town, the peaceful Vensterklip lodge is best known for its restaurant and wedding venue. It is somewhere a little quieter and more quaint, perfect if you’re looking to kick back and relax in and out of the campsite. If you find yourself at Vensterklip in the spring flower season, you’ll be treated to an astonishing array of bright flowers littering the hillside across the vlei. Vensterklip is some of the more pricey accommodation in the town but is worth every cent. As previously mentioned, the Elands Bay hotel has a small selection of 5 camping spots with their own ablutions and electricity. Very affordable, and conveniently situated right next to the hotel restaurant and town spaza shop. 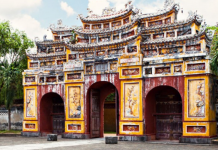 This is a great choice for visitors seeking a midway spot in between the two previously mentioned accommodation options. 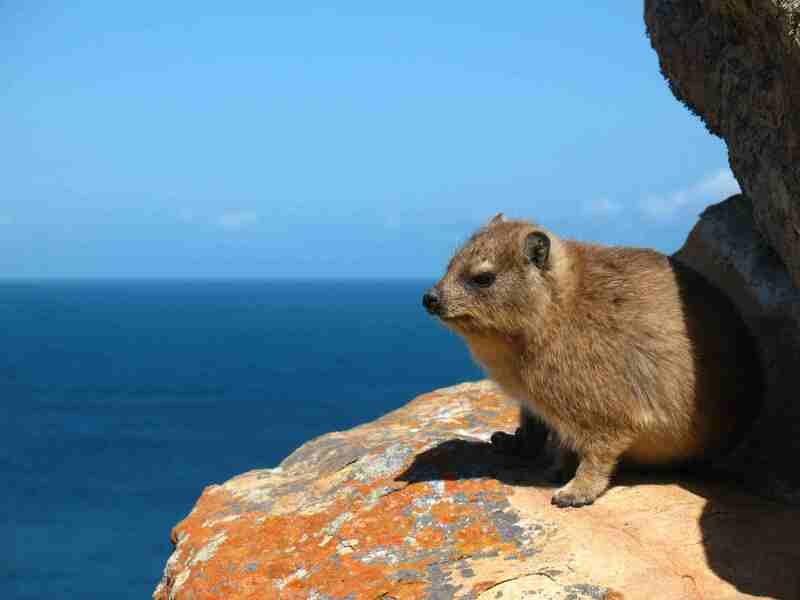 They offer discounted rates for groups above four and are popular among the return visitors to Elands Bay. 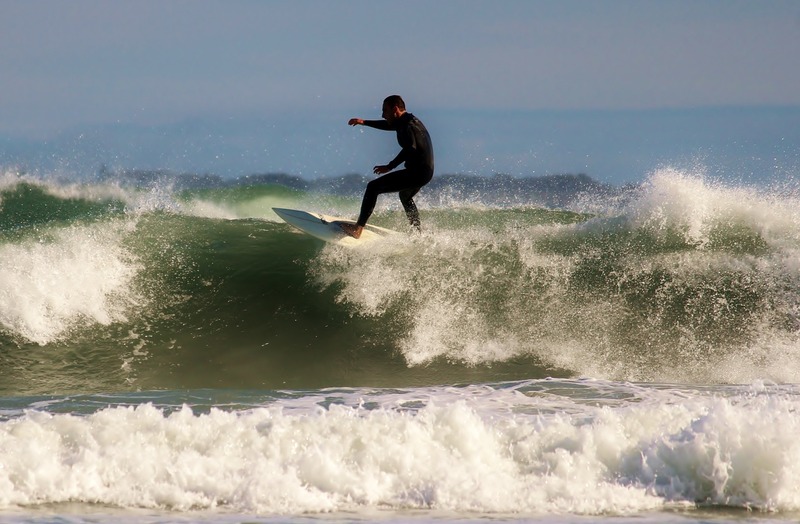 Amazing seafood, and beautiful views aside, surfing is the number one reason for visiting Elands Bay. Famous for its left break, it’s home to some of South Africa’s best, uncrowded waves (thanks to the regulars keeping it low-key). Far enough up the coast for the water not to be freezing all year round, the waves are known to be quality both during high and low tide. Although wind can be a challenge to those less experienced, a south-westerly can really drive swells in, making for the perfect opportunity for some speedy, high-performance surfing. Elands Bay is home to some of the most ancient world heritage sites. Often looked over when visiting, these are a must-see for anyone interested in the history of pre-colonial South Africa. Baboon Point is situated on the outer peak of the Bay, past the old crayfish factory, and is a short walk (with some light climbing) up from the parking lot below. 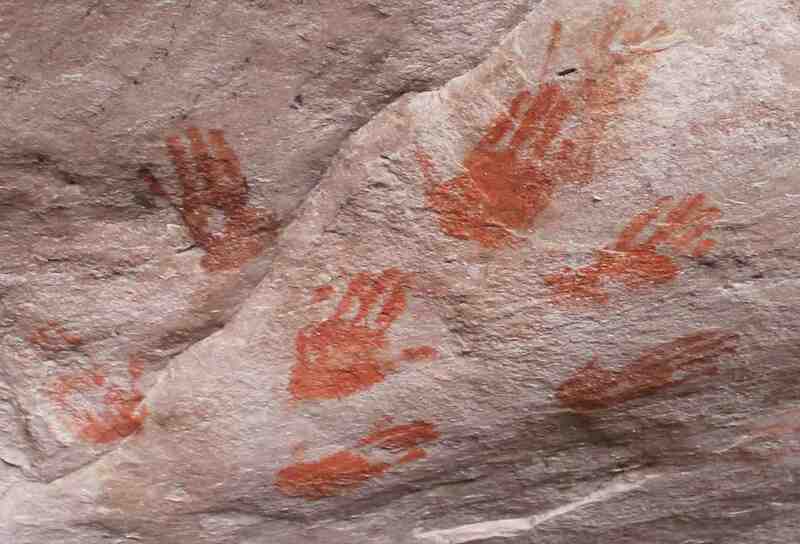 Originally home to Khoi and San peoples, millennia ago, the cave is filled with vibrant rock paintings and symbols. Accompanied by a full 180-degree view of the Atlantic Horizon, it’s a quick visit and a great photo opportunity. The aptly-named ‘window rock’ is simply a marvel of nature. Visible from the road that leads to Lambert’s Bay, it’s yet another trove of beautiful prehistoric rock art. Situated at the top of a short hike through Vensterklip’s private nature reserve, this is your best bet for a longer excursion that delves into this small town’s interesting history. 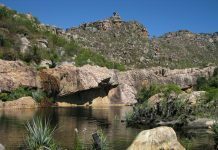 The Vensterklip hike is a great activity for families travelling with children. It’s an easy trail, the caves make for endless entertainment, and it’s a special part of history. 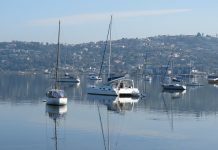 Early each morning you’ll see a plethora of locals in small boats heading out to test the waters. Baboon Point is the hotspot for sea fishing off the rocks, home to galjoen, steenbras, and hottentot. The white and black mussels that litter the rocks make for perfect bait, just be sure to pack some shade and sunscreen as there’s no protection from the sun. 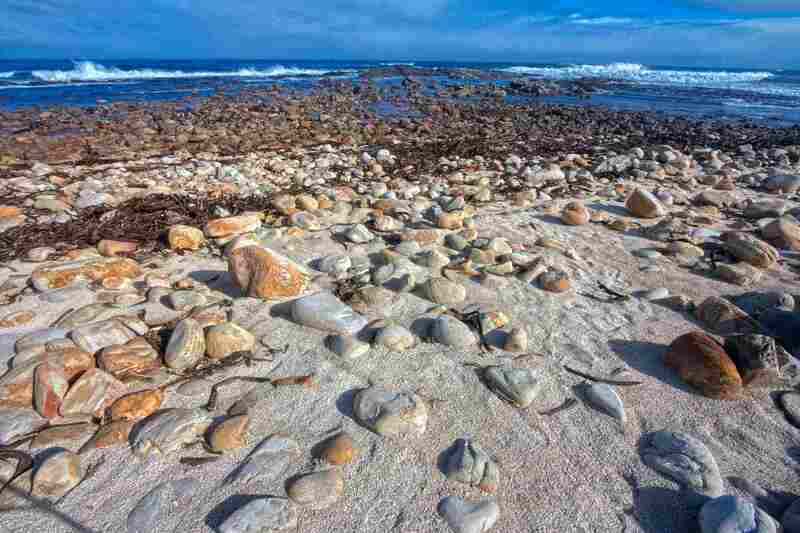 Elandsbaai is very well known as a crayfishing spot. A stay there is rarely unaccompanied by a random fisherman trying to peddle crayfish along the beach (keep in mind this is illegal). There’s a season when fishing for the rock lobsters is permitted, and in order to participate one needs to register for a license. The reason being the endangerment of the West Coast Rock Lobster. This can be done at your local post office. The Verlorenvlei is also a popular freshwater fishing spot. Inhabited by a number of small species, it’s great for some light game fishing. 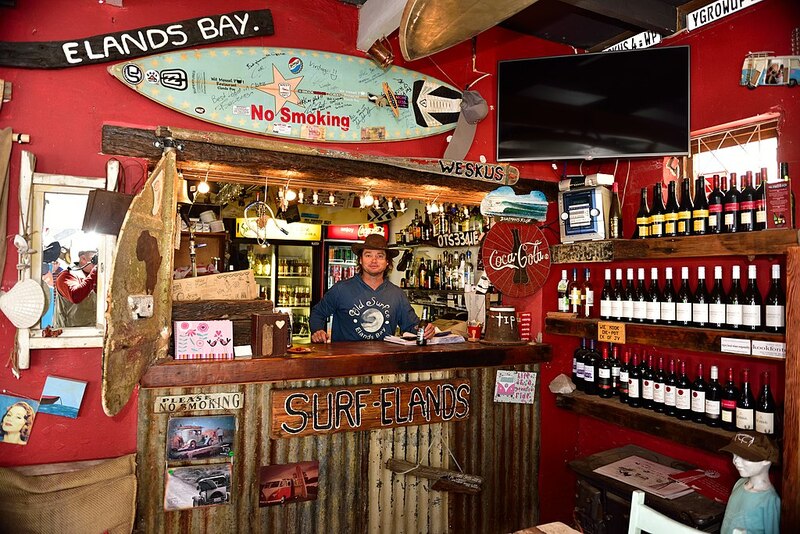 There are a number of spots to consider when dining in Elands Bay. They all serve freshly caught and prepared seafood, like nothing you can find in the city. Thanks to the easy access to great seafood, it can be hard to say who does it best, so we’ve done a small comparison. The Mussel Pot is your classic surf-shack seafood restaurant. 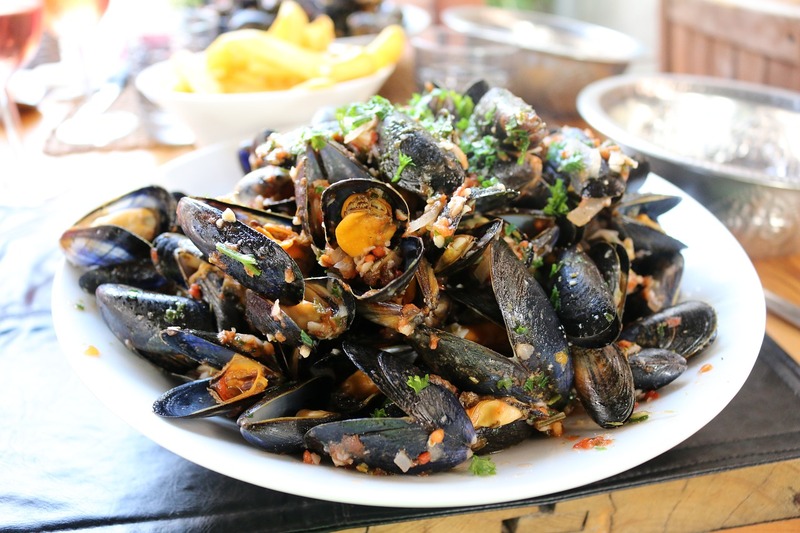 With the usual preparations of popular South African catch, like hake, mussels, and calamari, it’s a one-stop-shop for all your seafood needs. They also rent surfboards and wetsuits, and are the perfect place to fill up after a long day on the waves. The Elands Bay Hotel also offers a nice selection of seafood, though their menu features a lot more of your usual dining options. With burgers, pizzas, and breakfasts, it’s simple, well priced, tasty food. 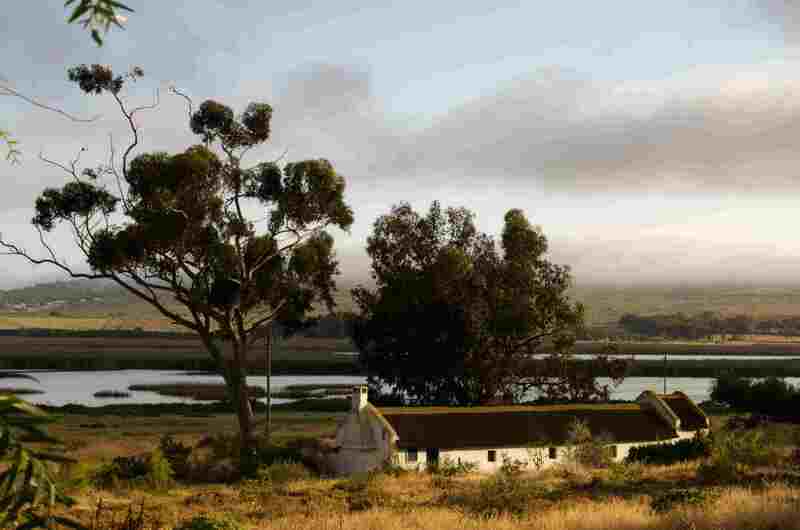 Vensterklip is Elands Bay’s gourmet dining experience. They have a wonderful range of meat dishes which are all locally sourced. Getting more creative with seafood than your usual fish shop, they deliver quality cuisine on all fronts, if you’re prepared to dig a little deeper into your pockets. Isabella’s is situated about 20 minutes outside of Elands Bay, in Lamberts Bay. Very similar to Die Mosselpot in menu selection, they’re a small step up in quality and definitely worth the drive. The combination of a large menu, fantastic desserts, and zany staff make for memorable dining on the docks. The dates for the crayfishing season are announced toward the end of November each year. The season usually stays open from early-mid December, for three or four months. 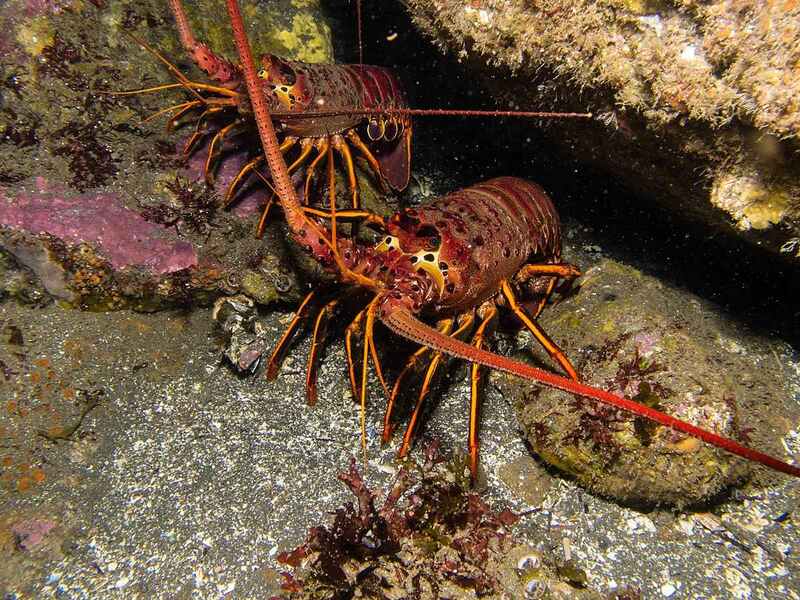 The West Coast Rock Lobster is endangered and on the SASSI Red List so it’s imperative to follow the correct fishing practices. You can buy a permit from the town post office and are allowed to catch four a day during the allocated hours. If you’re not a diver, this is still a great time of year to come looking for crayfish as they’ll be sold everywhere at quite reasonable prices. One of South Africa’s marvels is the West Coast flower season, where the hillsides and valleys are covered in purples, yellows and majestic oranges. 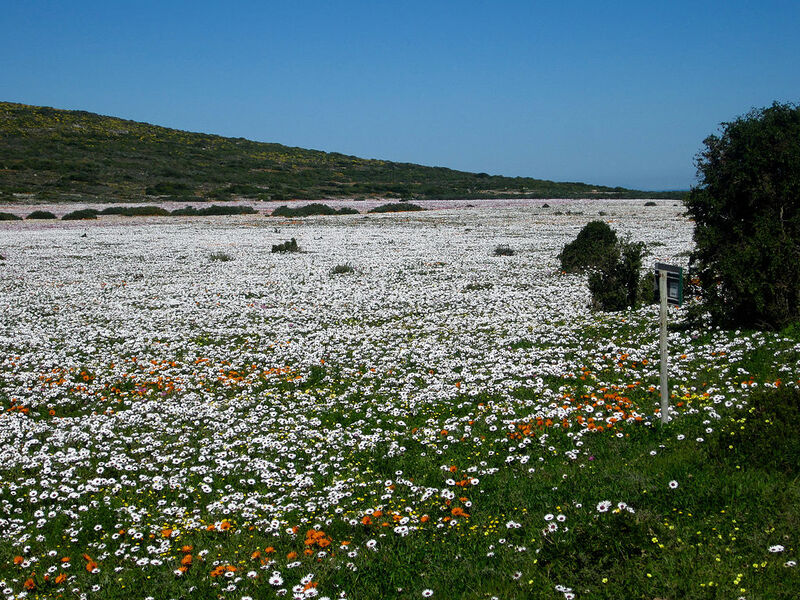 The flowers usually begin to bloom in numbers throughout August and into early September, and can be seen all along the drive up to Elandsbaai from Cape Town. Keep in mind, these flowers bloom larger on hot, sunny days. So be sure to check the weather ahead of time. Although the reef and river mouth combination lead to great year-round surfing, winter is the optimal time to visit on a surf trip. It’s a favourite of many South African surfers, so be sure to book your accommodation in advance. 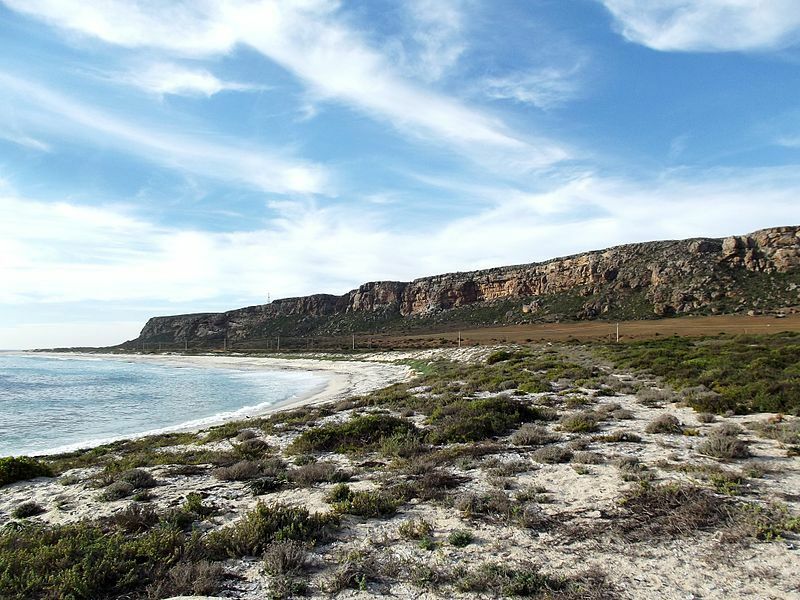 All in all, there’s a lot to be done in Elands Bay. If you’re staying a night, or a week, you’re not going to run out of anything to do. Whether you’re a history buff, a surfer or a fisherman, endless entertainment awaits at varying price points, with many options on the table for dining and accommodation. 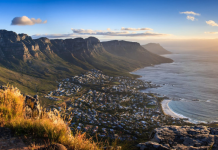 It’s only a short drive from Cape Town, and being one of South Africa’s hidden gems, it’s the place to be if you’re looking for somewhere new to visit.